North Korea! Last year I published my photos, and got a lot of attention: praise, hate, even death threats. There was a Reddit AMA with me, TV and radio interviews, and more. It turns out that criticising North Korea gets you a lot of enemies. I'm happy to be proved wrong, but those people rarely use arguments, they're just verbally aggressive... I was told to shut up and stop publishing NK photos. However, telling a Polish man "you can't say that!" is the surest way to make sure he will say it just to spite you! 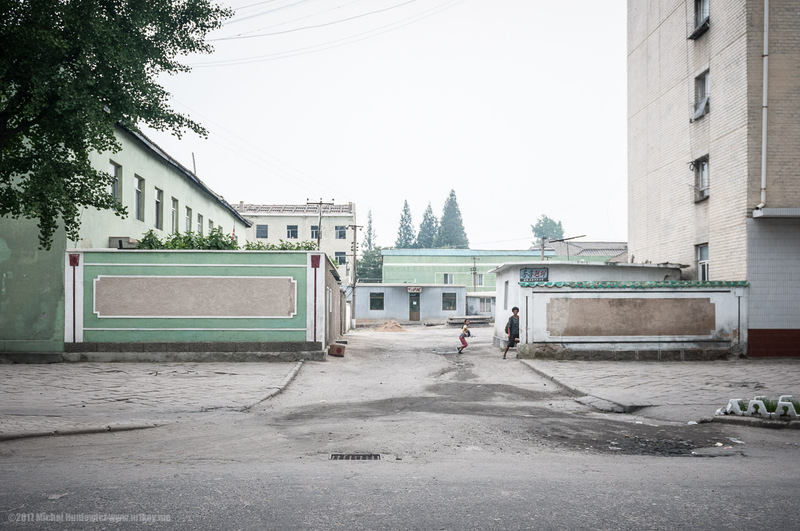 North Korea researcher Nina Spitalnikova wrote a book "Between Two Kims" about her personal experience in North Korea, and some of my previously unpublished photos are featured in it. They were also on display in the Cross Club Prague. Now they are for all to see. This is part three of four. Part one was Road to North Korea. 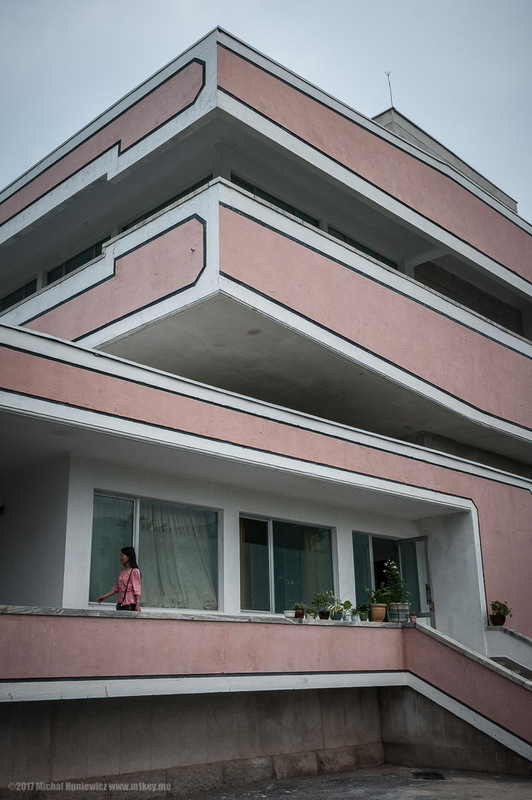 Part two was Ostensibly Ordinary - Pyongyang. 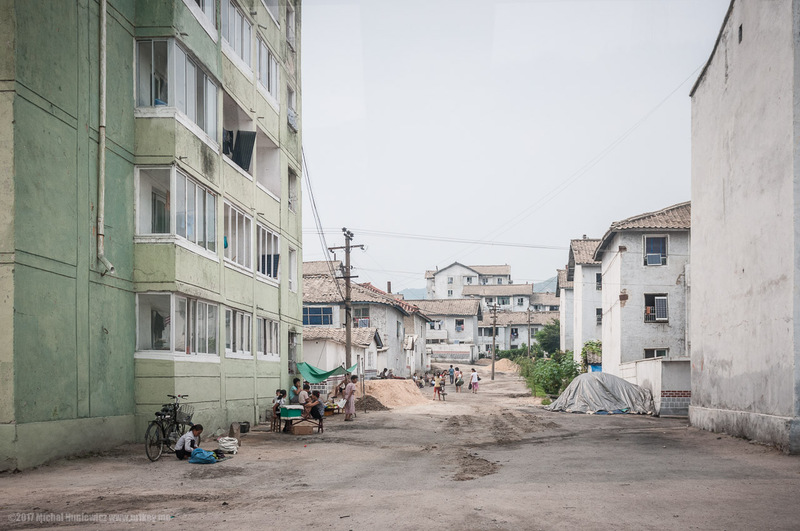 In this gallery, we step out of Pyongyang. 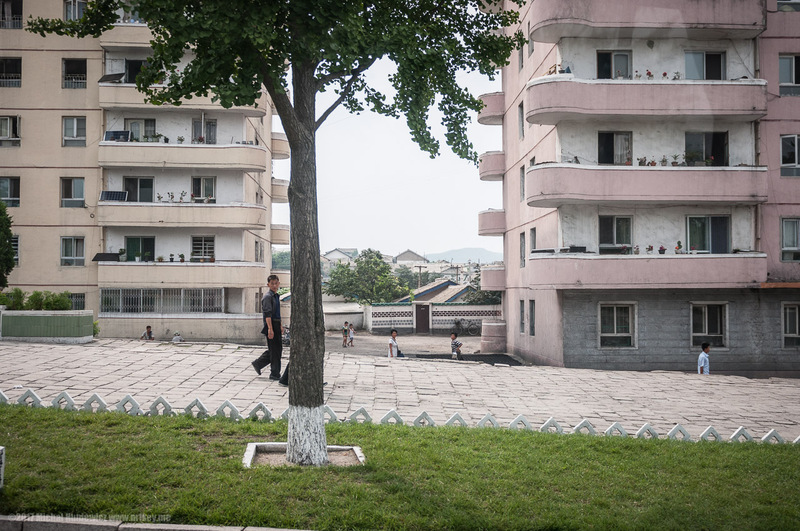 During your typical stay in North Korea, you stay in Pyongyang a lot, constantly supervised. But it is possible that they will take you out as well, as it happened with me. 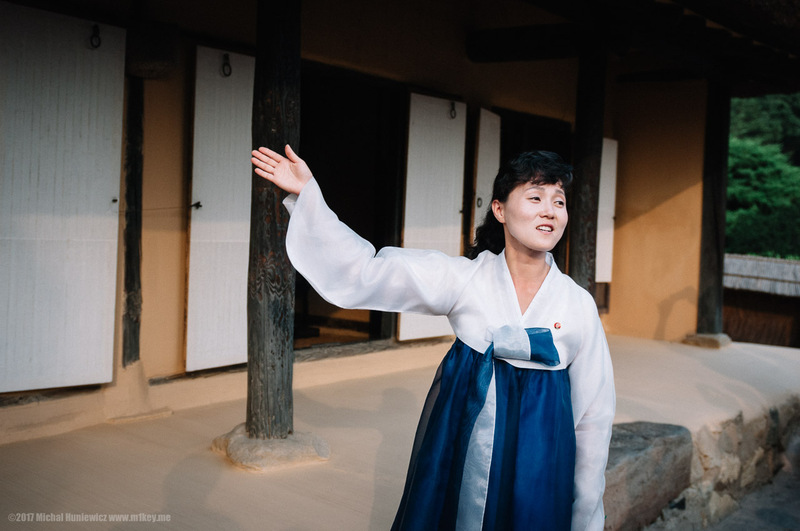 The Mangyongdae Native House is a major tourist attraction outside of Pyongyang. 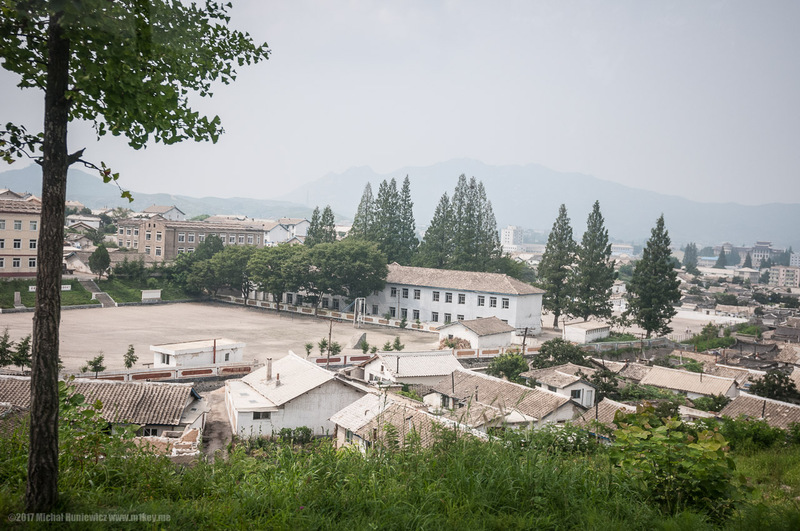 This is where Kim Il-sung was born, the first of the Kim Dynasty leaders, and that day is commemorated now with a public holiday called the Day of the Sun. That's 15th of April. His birth year, 1912, became Juche 1 of the North Korean calendar, implemented in 1997. 15th of April 1912 is when the Titanic sank, so North Koreans say that day symbolically the sun set in the West and rose in the East. 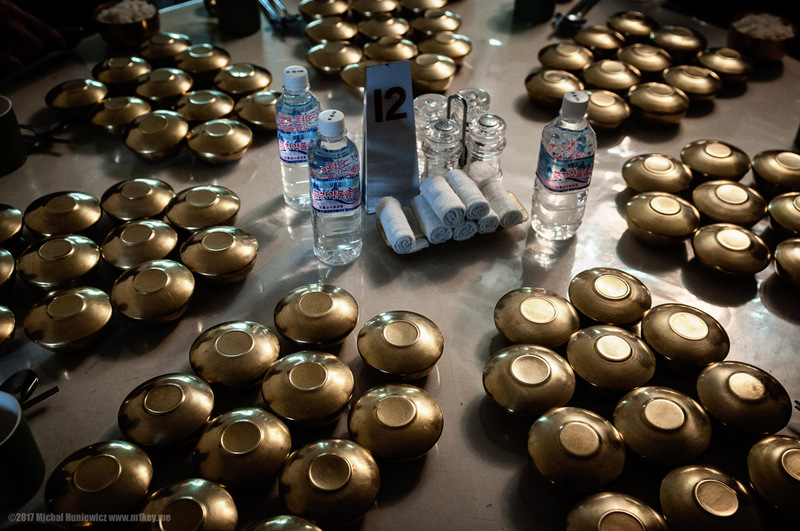 ISO 200, 24mm, f/2.8, 1/1000s. 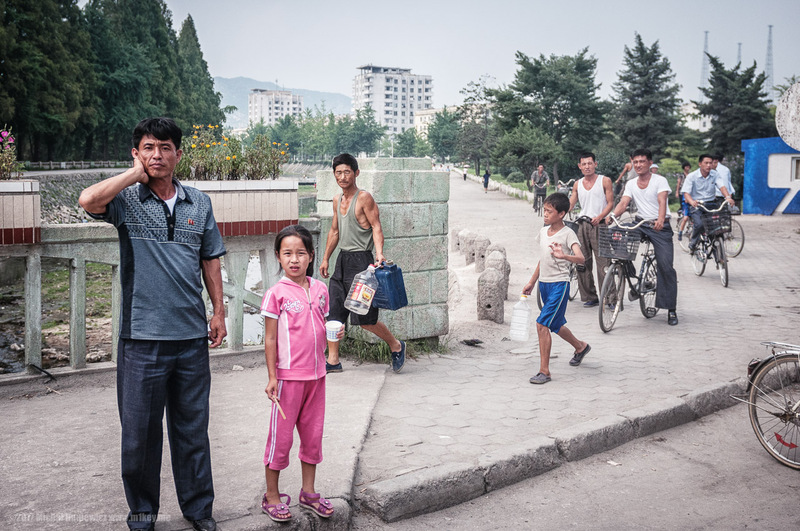 There is a lot going on by the road once you leave Pyongyang and head south toward the DMZ. They're OK with you taking pictures here for the time being. ISO 200, 24mm, f/3.2, 1/1600s. We weren't alone - the Slovenian band Laibach were travelling with us. 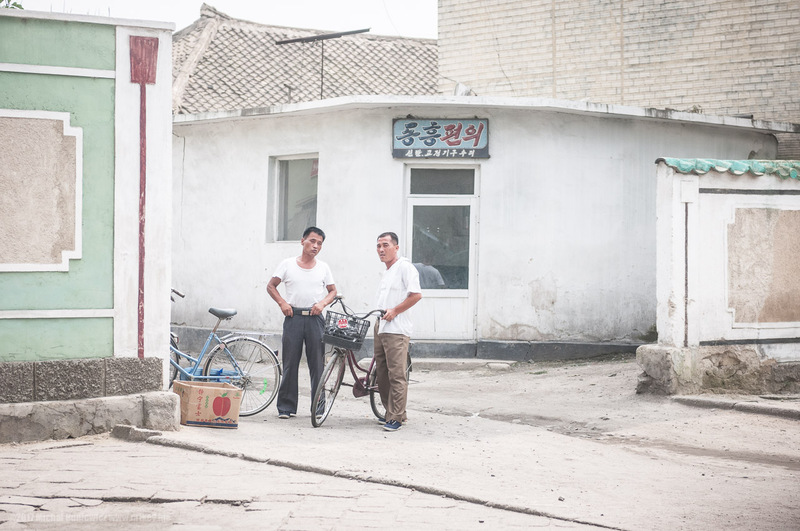 Apparently, that was the first ever rock gig in North Korea. Embarrassingly, I did not recognise them, as I wasn't really familiar with the band. 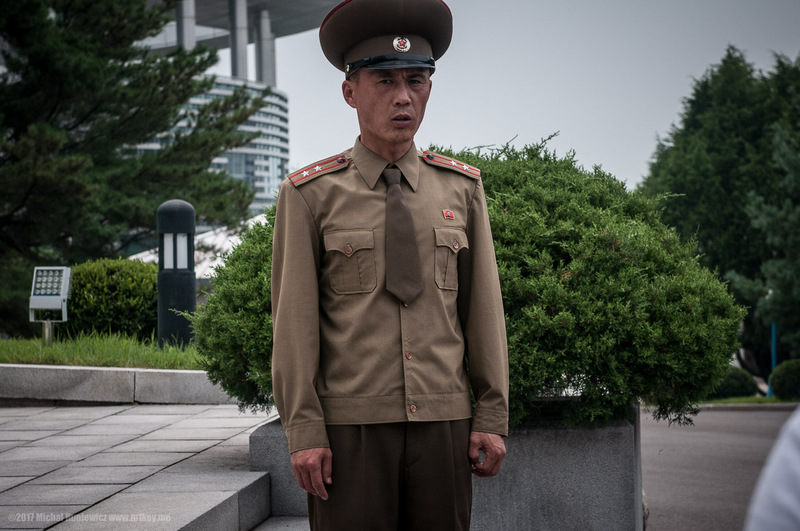 They had a Korean-American guide who appeared uneasy when I asked about where she was from. 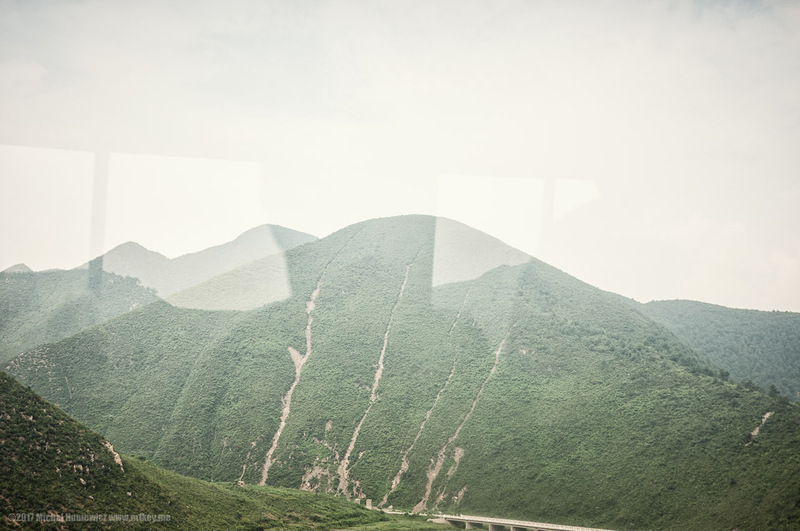 ISO 200, 24mm, f/8.0, 1/1000s. 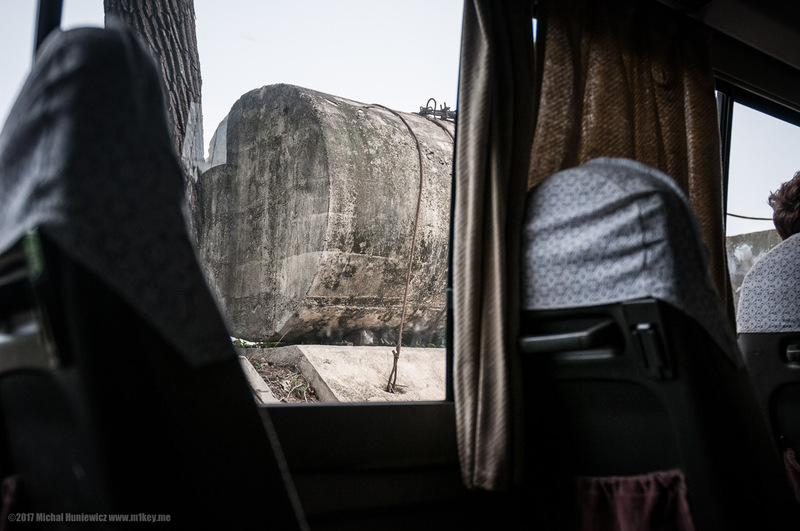 At one point, our guide (the good cop one, the woman) turned to us in the minivan and said: "from now on, there is nothing to see, you are not allowed to take photos, and you will go to sleep". We all looked at each other. It was quite early in the morning, after breakfast and coffee, the last thing we wanted was to sleep. 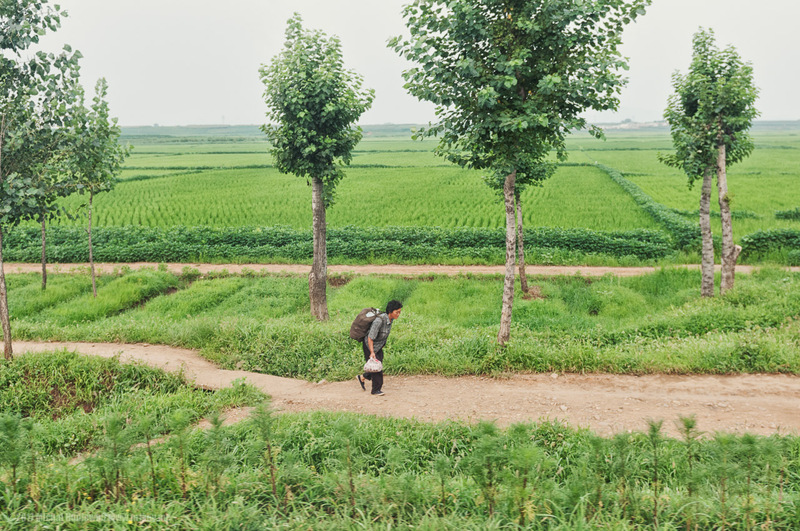 I took this photo at some point regardless, as I really liked the pristine North Korean landscape. Interestingly, the author Jang Jin-sung recalls a similar story in his book Dear Leader. He was taken to meet Kim Jong-un in a secret train, and as he boarded it, they were told to sleep. Nobody dared to even go to the lavatory. 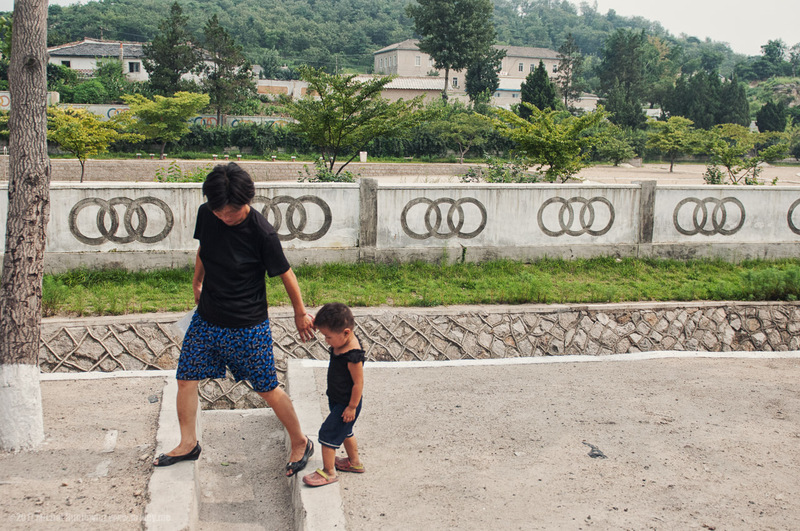 Here, a narrow road with concrete blocks to be dropped in case of a South Korean invasion. 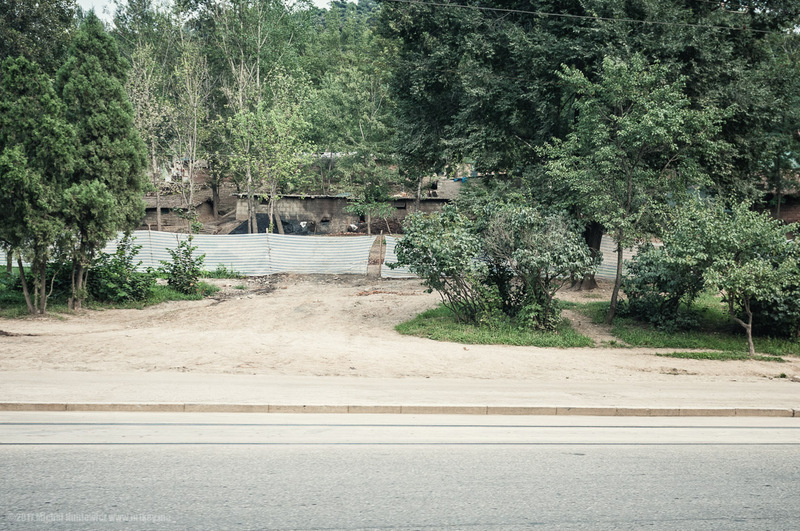 At the DMZ, we were allowed to take photos in certain places, but only of this soldier. And not of his back - one of us took a photo of his back, and was told off and had to delete it for some reason. ISO 200, 70mm, f/6.3, 1/1600s. 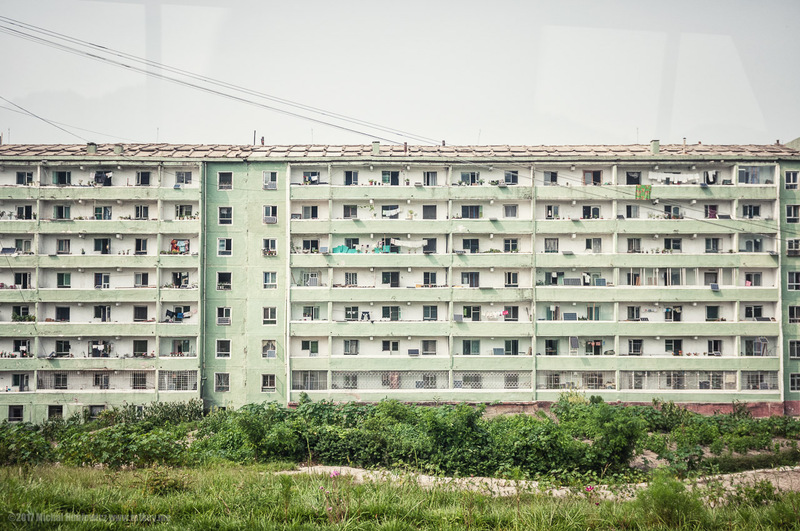 You can also take photos of the South Korean side. That's where the impressive building stands. If the cyberpunk genre has taught me anything - the South Koreans will soon have an army of mechs and robots on guard here. ISO 200, 24mm, f/6.3, 1/800s. 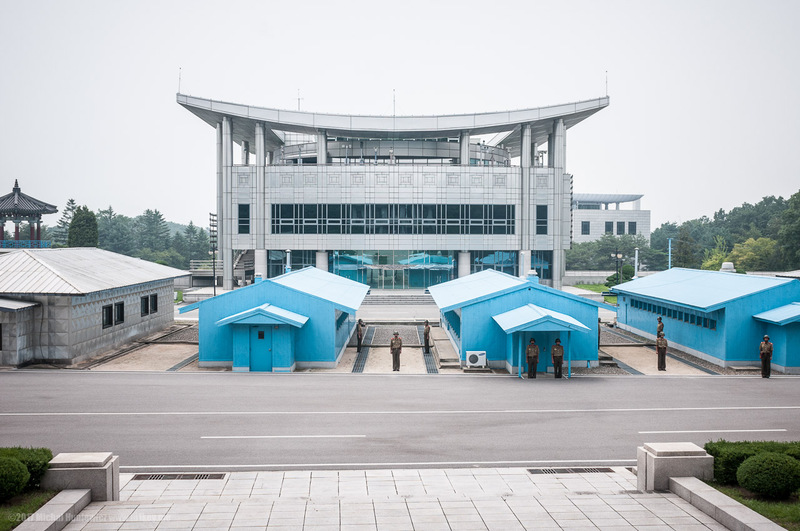 Here's a secret photo I took of soldiers as we were leaving the DMZ. I first showed it on TRT World on a show that the famous professor Robert Kelly was also participating in from Seoul. People ask me, how come North Korea is still around? For the Americans and the Chinese alike, all options are bad. 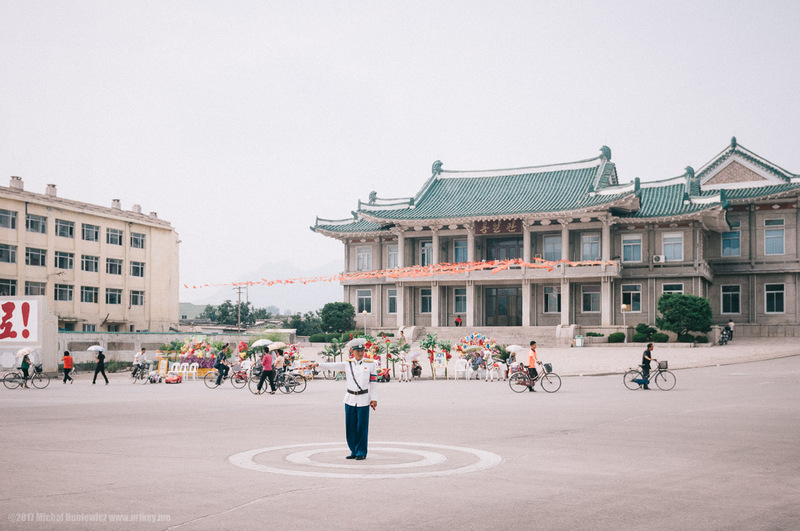 But I read the Chinese are becoming increasingly uneasy about the North Korean nukes and the nuclear facility which isn't all that far from the Chinese border. 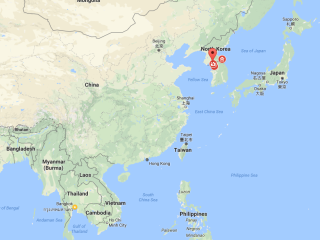 Some Chinese experts go as far as suggesting a joint military operation with the Americans, with the Chinese advancing 50 km into North Korea to make their presence known (as opposed to sitting back) while the Americans neutralise the threat, but the US may have to trade Taiwan and Korea in return, meaning those would no longer be their allies. ISO 200, 29mm, f/2.8, 1/800s. As North Korea may want to retaliate, whether with nuclear weapons or conventional artillery against Seoul, some suggest using EMP (electromagneting pulse weapons), but at this point in time they've not been tested yet (at least from what I read). 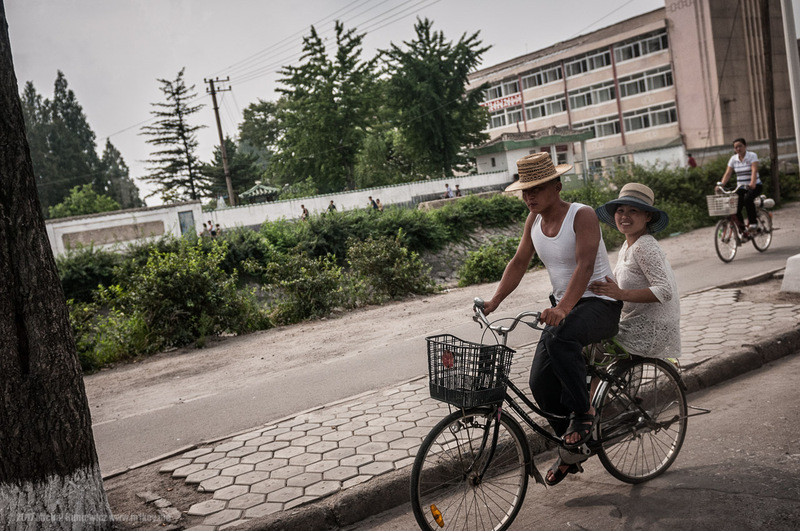 Whereas in most countries people are curious to see a foreigner and eager to interact, in North Korea they literally ran away from us at times. This is literally between the restaurant and the minivan. That's all we saw not from the van. ISO 200, 66mm, f/2.8, 1/1000s. 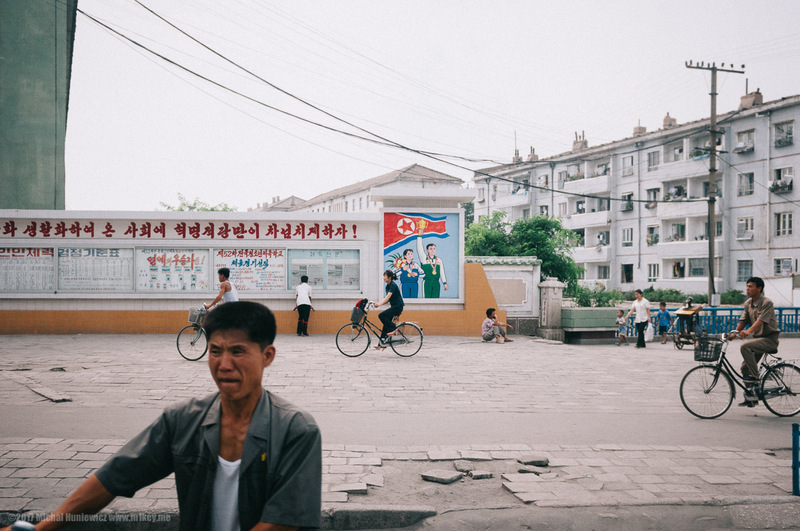 People ask me whether I would like to return to North Korea (I'm assuming, humorously). My answer is: I want to return to Korea, meaning after they unite, and it's an open place where I could finally speak to those people. Speak also to my guides, although some people told me they were murdered because of these pictures. ISO 200, 66mm, f/2.8, 1/1250s. 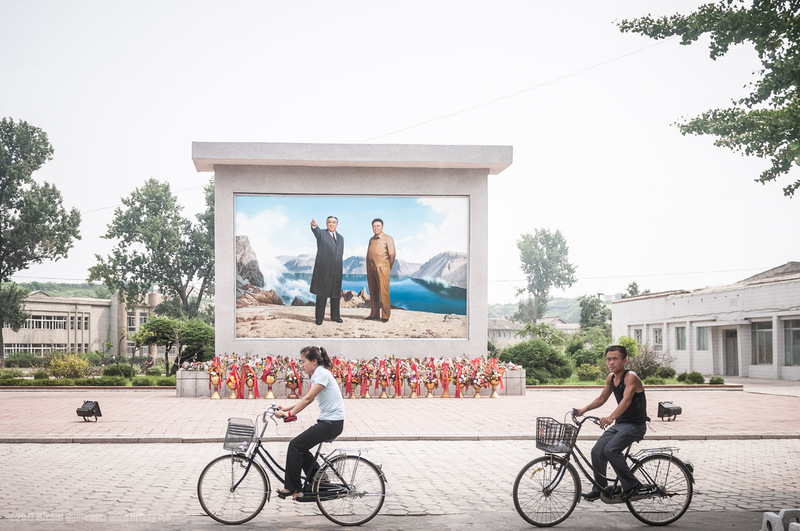 Much has been said about the North Korean cult of personality of their leaders. I spoke about it for TVN in Poland. There are official and unofficial beliefs about the leaders of North Korea, ranging from swallows heralding the birth of Kim Jong-il, curing AIDS by Kim Jong-un, changing the weather through the power of their mind, various Bible-like events surrounding the death of Kim Jong-il, and so on. He had a flower named after him (by a Japanese botanist and not himself, so I guess that's fair enough). 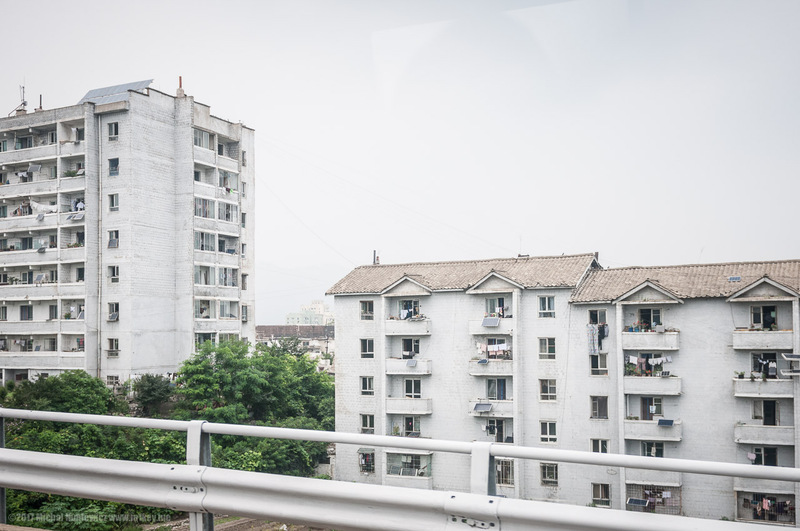 The housing areas looked socialist, but with those roofs still nicer than their Eastern European counterparts, I thought. If renovated, the place would not look too bad. Sculptures decorated the area. I am unaware of them having any particular significance, although Manon Prud'homme , a person with a degree in the Korean language and Korean civilisation I spoke to about this photo, suggested this might be to promote the excellence and talent among North Korean children, as it's apparently perceived imporant for them to be talented. According to Manon, this place shows off a prize it received from the government, perhaps for being exceptionally efficient, and the murals serve as a badge of honour, as it were. 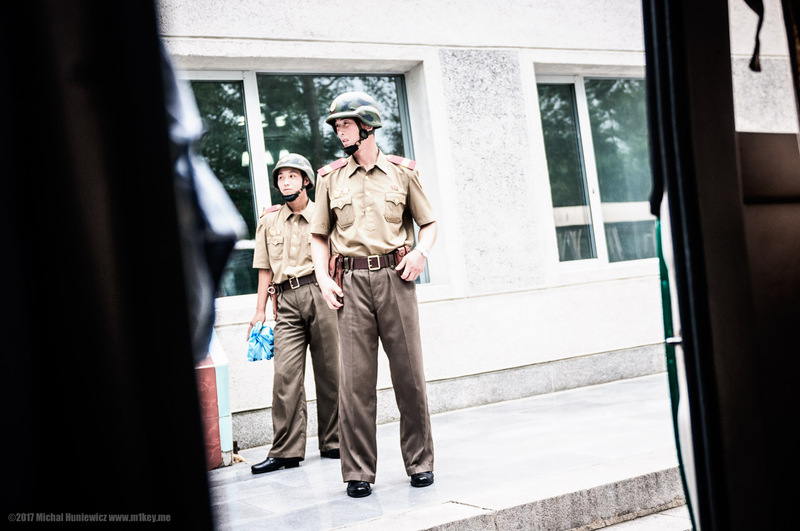 In North Korea, they take your passport away, and then you are told because you don't have it, you have to be under constant supervision in case you are hurt in a traffic accident. 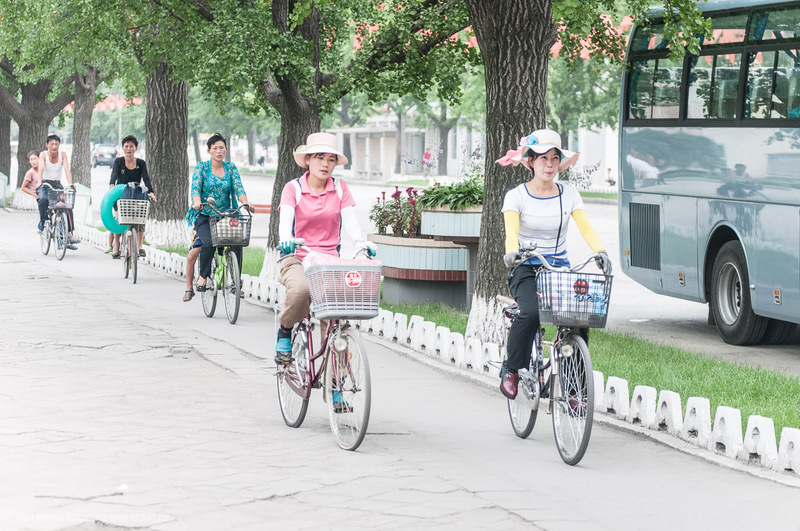 This is North Korean traffic. The same ridiculous story used to be told in communist Albania. ISO 200, 70mm, f/2.8, 1/6400s. I talked about this photo on CNN. 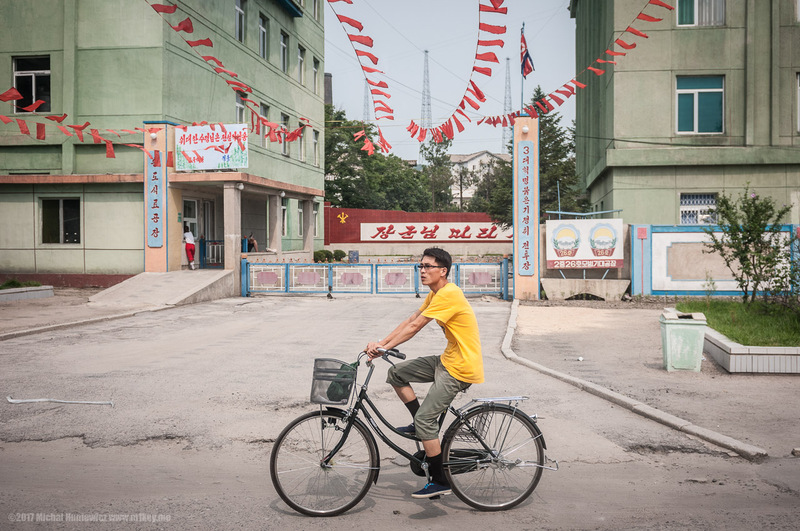 In North Korea, you learn a song about the Communist party and how it loves you more than your mum does. 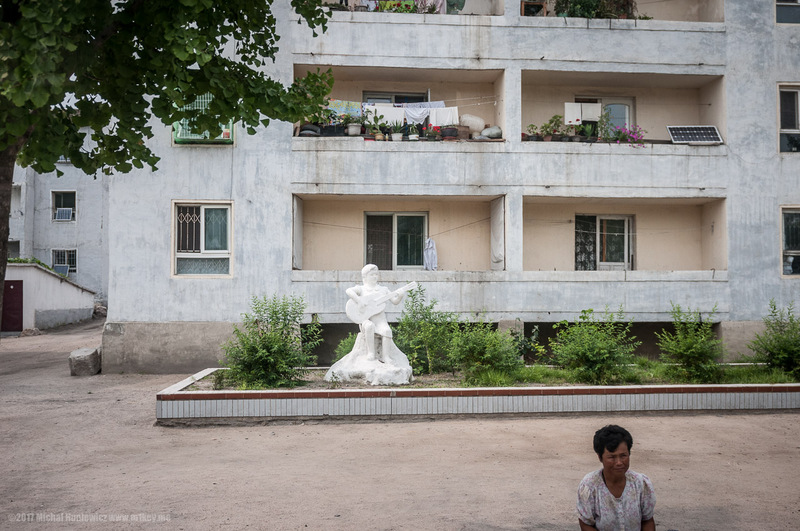 This photo, I like to think, shows the more human side of North Koreans that you don't really get to experience on a tour like this, as you are always kept far apart. 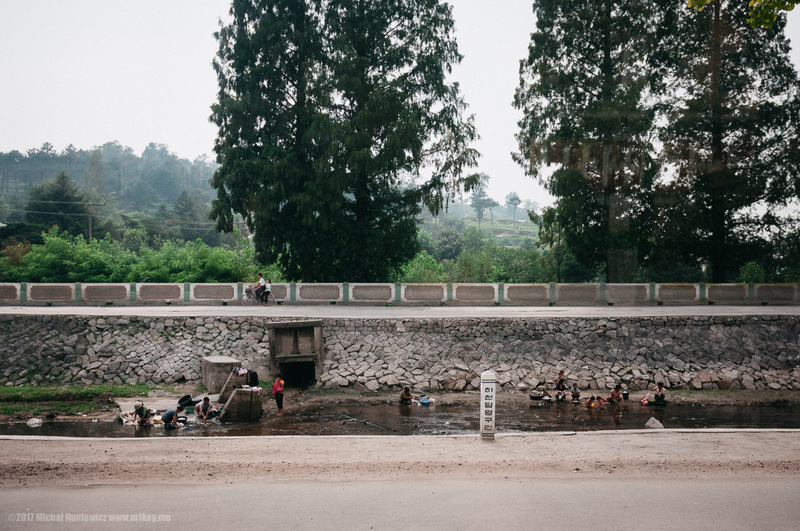 Like the Maasai in Kenya, the Koreans do their laundry in the rivers. Pig with pumpkins, I guess that isn't some sort of cryptic Halloween reference. There was a traffic warden, a man in control of nothing. Nevertheless, they are impeccably dressed and authoritative. I am constantly amazed by how Polish police officers' uniforms have consistently lacked any kind of elegance by design. People just walked, nobody laughed or played. There were no pets here (we only saw one during the entire stay) and no music except for the occasional partiotic song (the latter being similar to China and its unbearable pompous music). 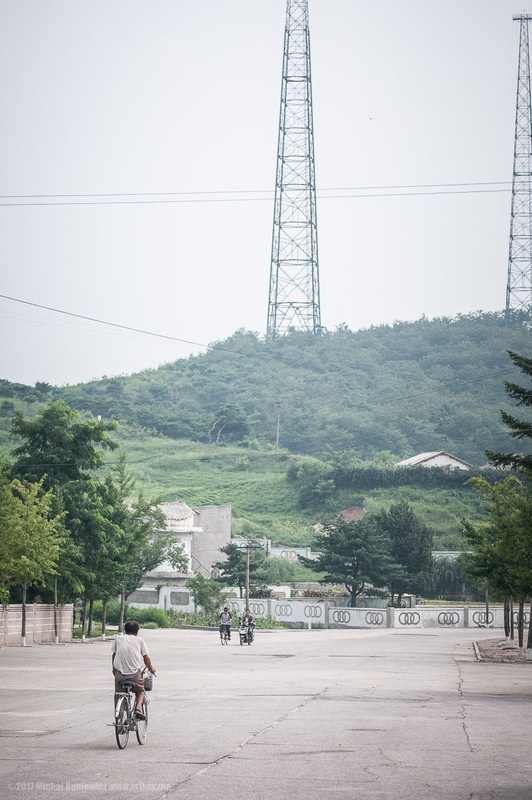 I spoke to a guy who told me about the plans to use Outernet to help the North Koreans. The idea is to drop an Outernet device to North Korea, and that allows to receive 10-20 MB worth of data daily (using satellites and radio waves ). That would be uncensored news from the West. Hopefully not Trump's tweets or what the Polish government are doing to the environment, because it would make it harder to convince the North Koreans that democracy is worth their while. 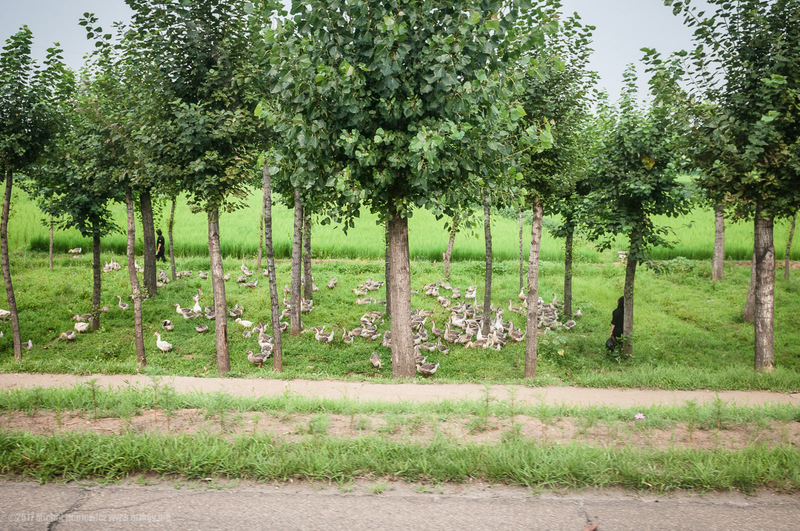 Woman hiding from the sun as we drove past, a bit like the Umbrella Man observing the JFK motorcade. The town is nicely situated. 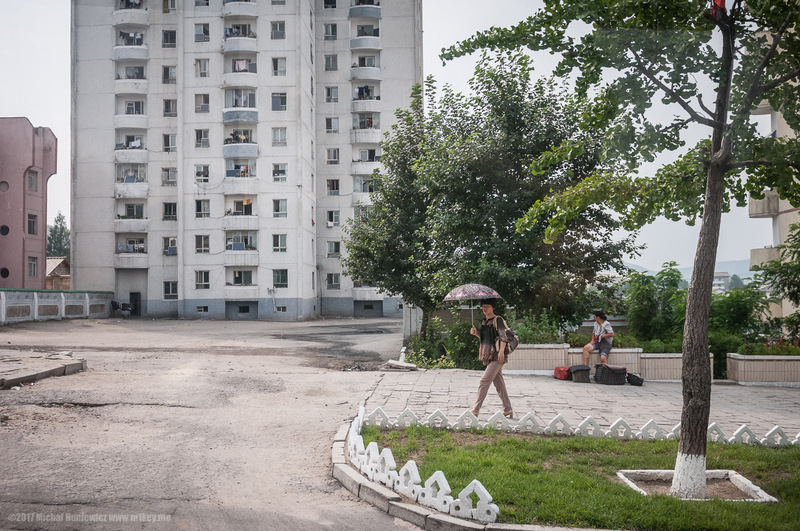 The photos you are looking at right now - I was told (allegedly by North Koreans as well) that those photos have already cost lives in North Korea, since some of them show what's not supposed to be seen... I also received messages from North Korea saying all I've said was lies, and that I would die for it. 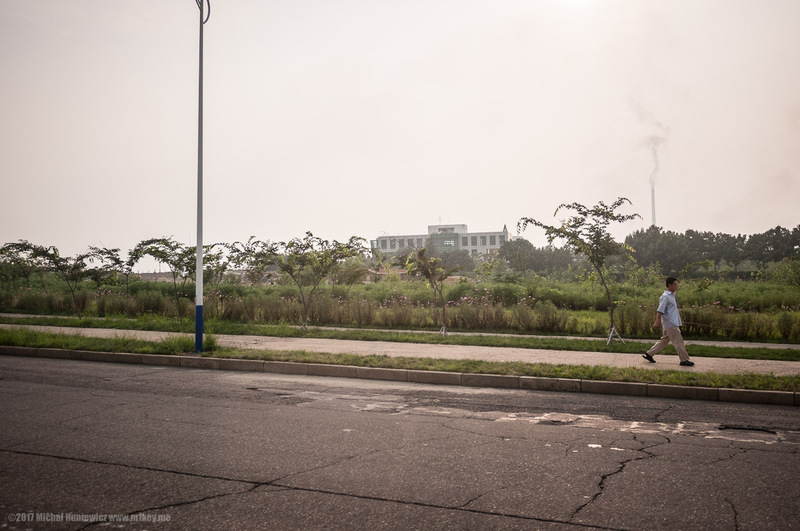 As in Pyongyang (or London), here too chimneys polluted the air. So much for promoting public transport! This is one of the few genuine smiles I managed to catch on camera. Other than that, I saw either sadness or indifference. How long will this go on? Nobody knows. 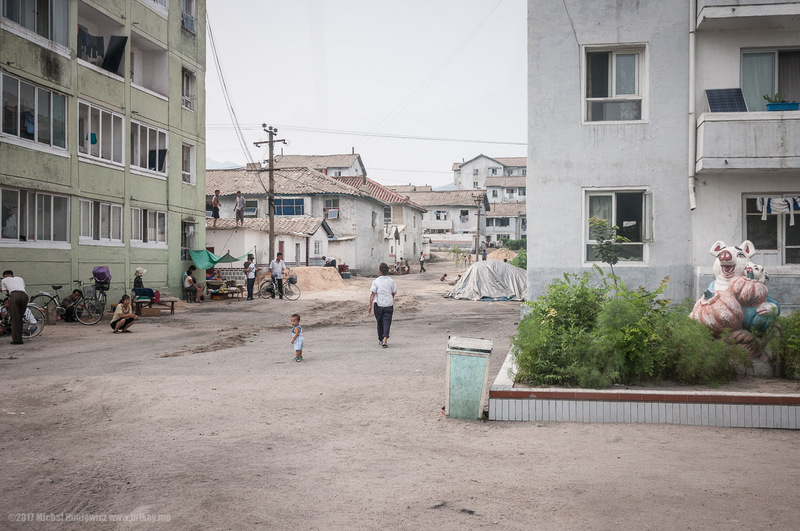 But recently the Washington Post suggested that North Korean society isn't completely static, and after the 1990s famine the government has allowed some form of capitalism, and it can't really back down. Wind of change? Manon likes to think that this is evidence of Kim Jong-un being a reformer. But equally, it could simply point to the weakness of the state. Professor Kelly said we'd have to wait at least a few decades for a meaningful change. Let's watch and see.